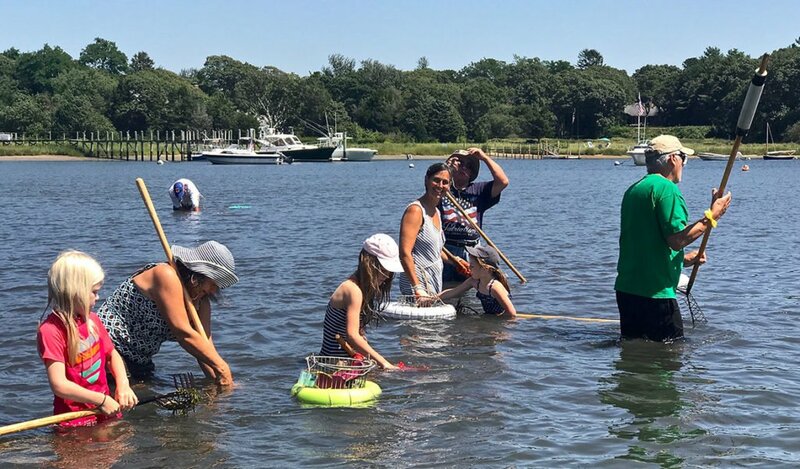 Barnstable’s Natural Resources Program will offer three FREE shellfishing classes open to all ages this summer. If you ever wanted to learn how to shellfish or you’ve been before, but you’re still looking for more tips? Here is your chance! Natural Resources staff and BARS volunteers will be available to assist anyone who wants to learn to dig or just get a few more pointers! Be prepared to get wet! The shellfish live in wet sand that gets covered by saltwater when the tide is high. Waders, hip boots or knee boots would be helpful. Protective gloves are necessary. Shellfish may be taken by hand or rake. Small (garden) hand rakes and trowels will be allowed for children only. Shellfish that are legally harvested with a valid permit may be taken home. SHELLFISH REGULATIONS APPLY AS ALWAYS! Click to download the Learn to Shellfish Classes printable flier here.